This week involves a whole lot of Sci-Fi, a healthy helping of Rick and Morty, and even some rather nice jewellery. Let’s take a look at what’s been on offer. We’ve got deals that’ll work in the UK, deals that’ll work in the US, and some deals that will work in both the UK and US, as well as presumably many other places. 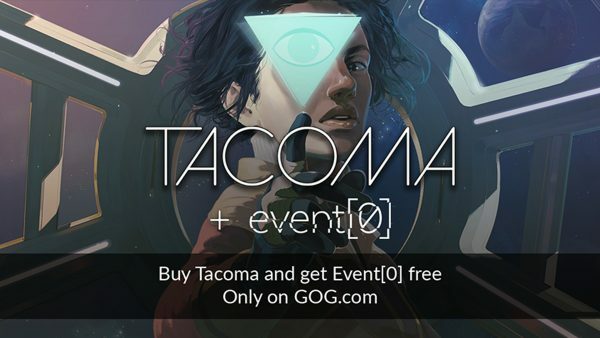 The latest game from The Fullbright Company, creators of the infamous Gone Home, is Tacoma. A narrative-driven sci-fi gem of a game that fleshes out its characters a bit more than the company’s previous title. At the moment, buying a copy of Tacoma from GOG will get you a free bonus copy of similarly sci-fi themed title Event. Not a bad bundle if you fancy it. Wonder Boy was a lovely Sega Master System game that I spent a lot of time playing when I was but a lad. 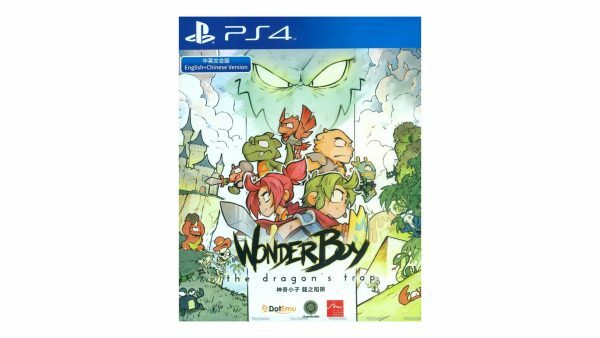 For one reason or another, it saw a remake this year in the form of Wonder Boy: The Dragon’s Trap. As lovely as that is, what’s even lovelier is the fact that there is a very limited boxed edition of the game up for grabs on PS4 right now. It’ll cost you £19.36 / $24.99 over at Play-Asia and is region-free. 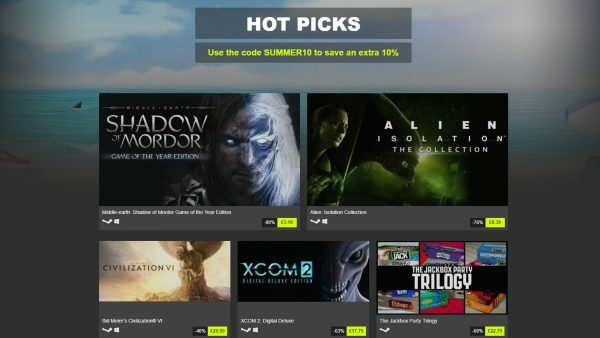 Bundle Stars has begun its Summer Sale, which means there’s a brand new slew of discounts on digital PC games. You can enter the code SUMMER10 at checkout to get an extra 10% off your purchase too, which is a bit nice. Here are some of the highlights. 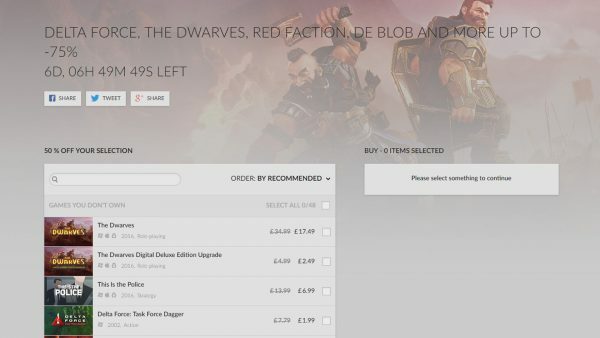 GOG’s back with another weekly sale range. This time, the offers include the Delta Force franchise, Red Faction 1 & 2, Painkiller, Legend of Kay: Anniversary, both Full Spectrum Warrior games and, lest we forget everyone’s favourite, deBlob. 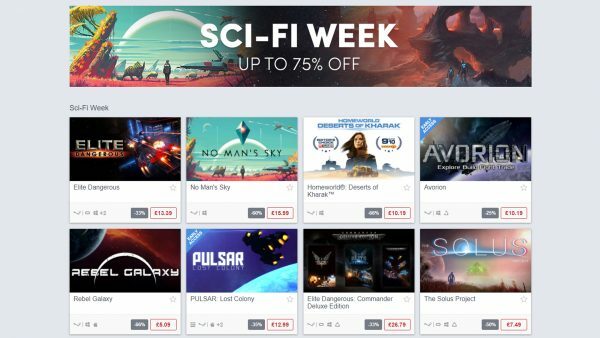 For some reason, it’s Sci-Fi week over at the Humble Store right now, so why not celebrate by picking up a spacey-type game like No Man’s Sky, Elite Dangerous, Rebel Galaxy, or even try your luck with EVE Online. Everything is up to 75% off while the sale is on. I suppose it was only a matter of time before things from the Dark Souls franchise found their way into our world, I just didn’t expect it to necessarily be a set of rings first. 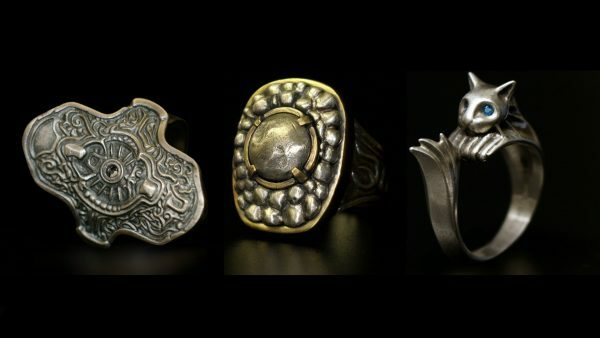 If you’ve found yourself dying to own a real-life version of Havel’s Ring, among others, you’re now in luck. As long as you’ve got a bunch of money burning a hole in your account, it can be yours, thanks to First4Figures’ official Dark Souls jewellery collection. 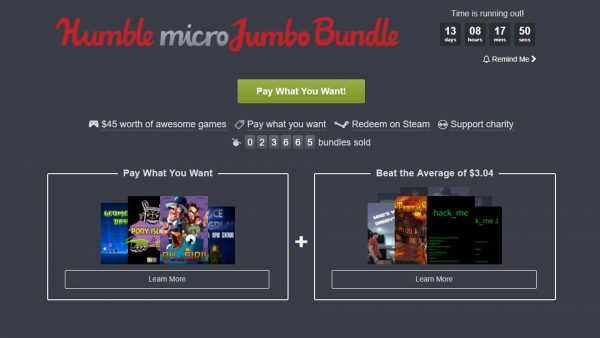 In what must be one of the site’s most confusingly named bundles to date, Humble is currently offering the Micro Jumbo Bundle. This one puts together a bunch of smaller indie titles and offers them up dirt cheap. Honestly, this bundle is worth grabbing for Pony Island, and Devil Daggers if nothing else, though. Hours of fun there for a handful of coins. Those on the search for a quality gaming laptop may just want to check out this offer from GearBest. 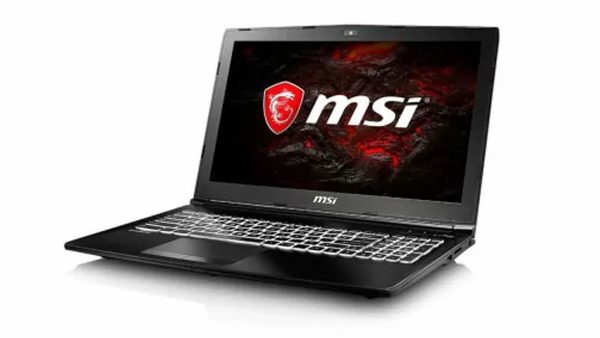 Using code MSI1252 at checkout, you can save over £150 / $250 on the cost of a 15.6-inch MSI gaming laptop that boasts a 1050Ti graphics card, 8GB RAM and an i7 processor. It also comes with free international shipping and a one year international warranty, too, in case you were concerned. Last but not least for the worldwide deals, Humble is offering up a healthy dose of Final Fantasy games on PC with up to 50% off this weekend. 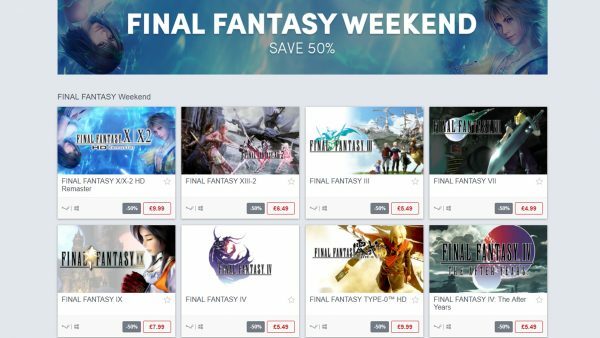 The Final Fantasy Weekend sale ends – rather predictably – at the end of this weekend, so get in there and buy a fourth copy of Final Fantasy 7 while you can. 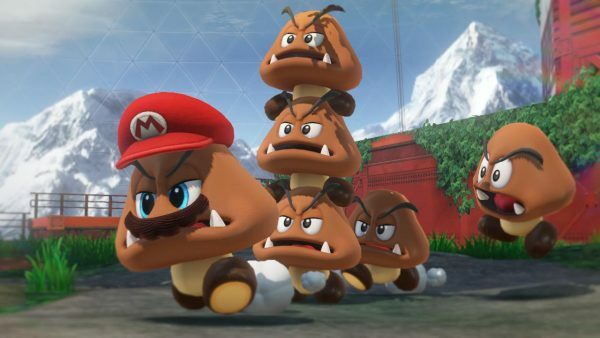 The game isn’t even out until the end of October but Amazon UK is already offering up a decent price for Super Mario Odyssey on Nintendo Switch. Anyone can pre-order the boxed version of the game for £42 right now, while Amazon Prime members get an extra £2 off, bringing the cost down to £40 and making it the cheapest way to pick up this one at the moment. 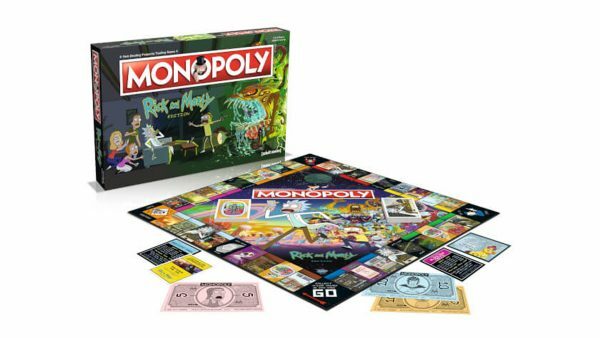 Because we’re now officially at the zenith of Rick and Morty’s popularity and overall draw within mainstream media, there is now an officially licensed Rick and Morty Monopoly. We should have all seen this coming. If this sounds like your thing, it’s up for pre-order right now at Zavvi, wubalubadubdub. 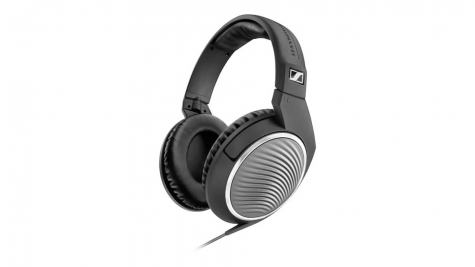 Entering the conveniently rhyming promo code ‘SENN10’ during checkout at Zavvi will get you an extra £10 off the price of these Sennheiser HD471G closed over-ear headphones. That means you’ll be paying just shy of £40, which is a bit of a steal for Sennheisers. 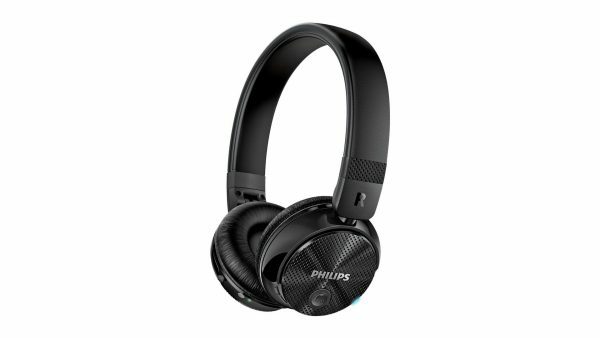 If you’d prefer to go wireless entirely, Argos is offering up a set of Philips’ extra luxurious Bluetooth headphones with Noise-Cancelling technology for half price this week. Head to the site and you can pick up a pair for £39.99 for a limited time. As Amazon moves away from producing the smaller variations of its Fire HD tablet computers, Tesco Direct is stepping in to offer up the remaining stock at a cut price. 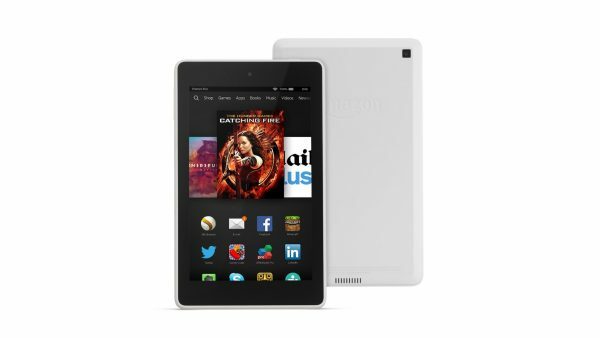 Head over to Tesco’s eBay outlet and you can grab a brand new Fire HD 6-inch version for £37.50 while stock lasts. You’ll get a year warranty with that, too. 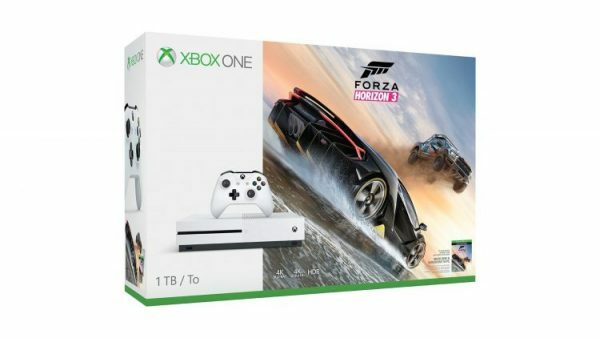 Over at SimplyGames this week, you can grab an Xbox One S 1TB console with a copy of Forza Horizon 3 on top for good measure, all for just under £230. That’s a limited offer and it’s an Xbox One S rather than the fancy new Xbox One X, of course, but it’s not a bad price for what you’re getting. 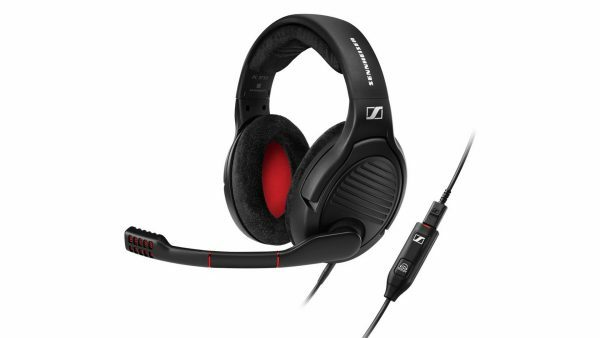 We’ve already been over the whole ‘Sennheiser make quite good audio equipment’ stuff with that last deal, so what you need to know about this PC gaming headset is that it’s currently discounted by £79, it’s 7.1 surround capable, and it’s very nice to look at as well. Movies are nice. 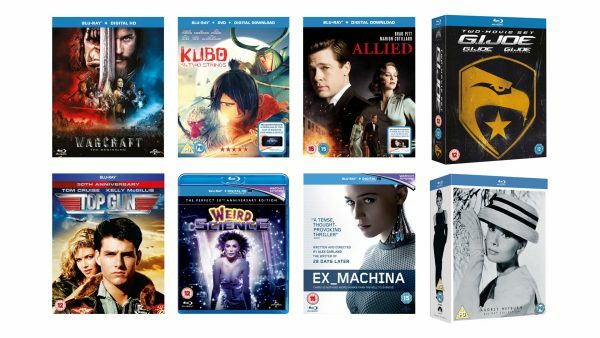 If you’re the type to like your general cinematic intake to be of the high-definition variety and you’ve got yourself some form of Blu-ray player to faciliate that, check out Zavvi’s current range of Blu-rays on offer in a ‘5 for £30’ bundle set. There’s over 300 titles to choose from, but just trust me and get Kubo and the Two Strings at least once in your set. 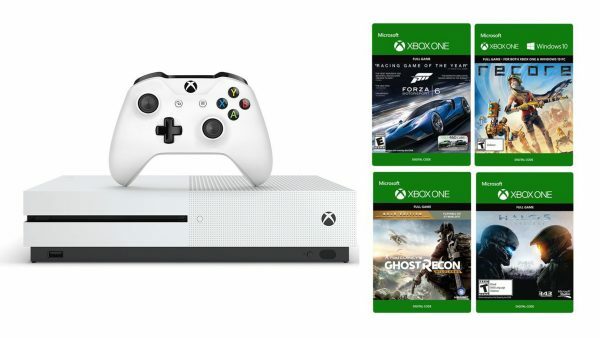 If you’re in the market for an Xbox One and you’re not particularly interested in waiting for the Xbox One X when it launches later this year, you may just want to head over to Amazon right now and grab this Xbox One S 500GB console which comes with four digital games for just under $250. Not a bad price on that bundle at all. 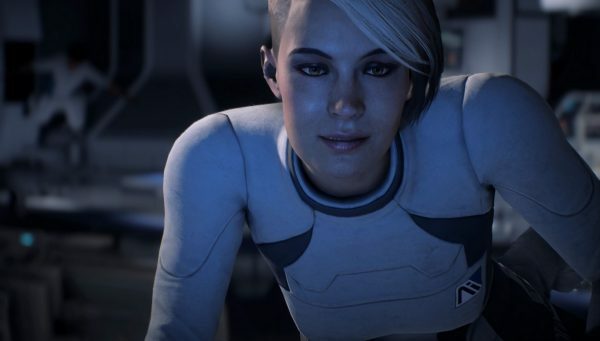 Look what’s back in the discount aisle – it’s our friend, Mass Effect Andromeda. This time around, it’s the Deluxe Edition of the game on both PS4 and Xbox One that’s been slashed in price, down to $29.99 for the time being. 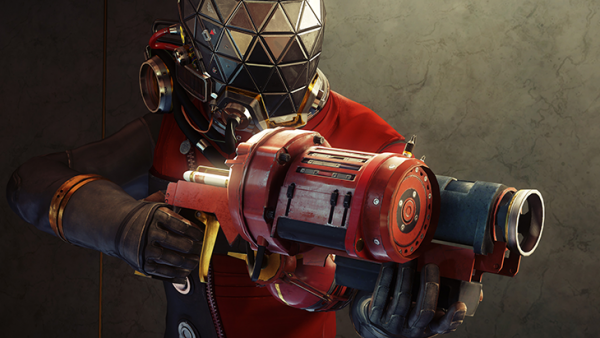 The spooky, largely narrative-driven and alarmingly difficult game that is Bethesda’s Prey saw a release mere months ago but that doesn’t stop it from being available to buy right now for only $24.99 on all three formats it exists on. If you’ve been even remotely curious about this one, there has quite literally never been a better time to give it a try. Did you know that Jelly Deals has launched a newsletter? It lets us bring the best deals directly to you each day. Subscribe here, if that seems like your kind of thing.ur kind of thing.